Need a friend’s phone number? Your phone has them all. Need some cash in the middle of the night? Why, there are 24-hour ATMs for just that. Forgot your cousin’s birthday? Impossible, with regular birthday reminders on social media. Technology has simplified our everyday lives to such an extent that we’ve ceased to notice its presence altogether. Despite the ubiquity of technology in our personal lives, it’s surprising how we still do so many things in our professional lives the complicated, long-winded way. 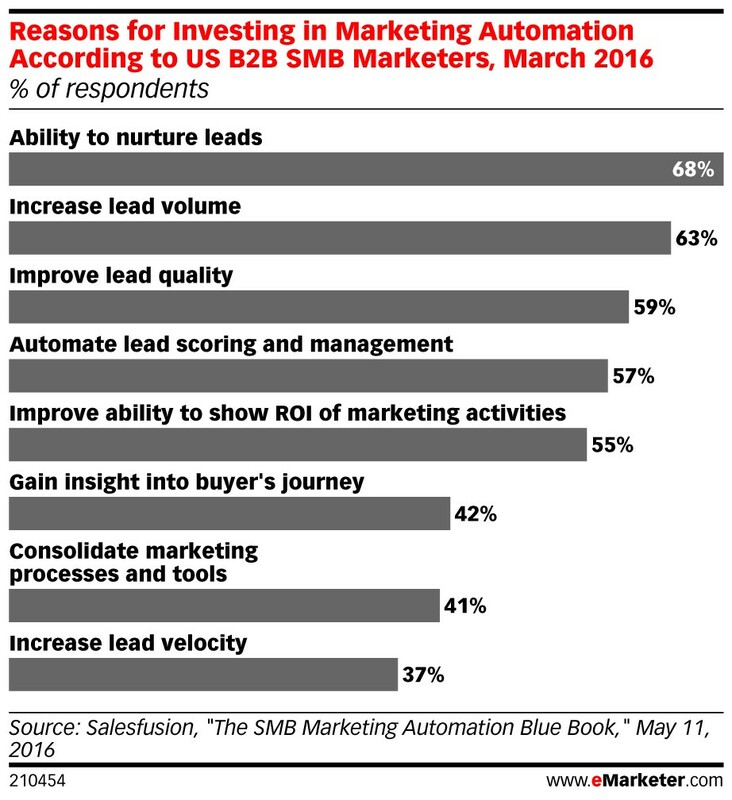 For instance, data from VentureBeat shows that a mere 5% of businesses use marketing automation software despite its clear benefits. 80% have seen a growth in lead generation. 77% of them see conversions go up. Marketing automation comes in many shapes and sizes. From helping you better understand user behavior on your website to offering you a way to directly engage with your users on social media, there’s a wide variety of functions that marketing automation tools perform. However, more often than not, these tools come with a huge price tag that’s often out of reach for the average small or medium-sized business. Which is why we’ll do a quick roundup of some great tools that SMBs can leverage at every stage of the marketing funnel, without burning a huge hole in their marketing budgets. All said and done, sales and revenue are what drive marketing. Which channel actually helps businesses rake in the moolah? It’s no secret that email marketing top the ranks in digital marketing ROI and offers businesses probably the most cost-effective way of reaching out to customers. According to the Direct Marketing Association, email marketing begets you a return of $38 on every dollar you spend. Name one other platform that can beat that. Among the many email marketing platforms I’ve had the chance to use, GetResponse gets my vote as hands down the most user-friendly, well-integrated, yet surprisingly affordable platform of the lot. Unlike some other platforms, the final emails sent out are completely optimized for a range of device sizes and operating systems. While GetResponse was already a complete email “suite” that pulled off the basics, like importing mailing lists, drag and drop email building, DIY landing pages, and A/B testing with reliable efficiency, what gives the platform its real edge is its recently expanded capability – the platform has turned into a full-fledged marketing automation solution that allows you to track, tag and score website traffic as well as abandoned carts. 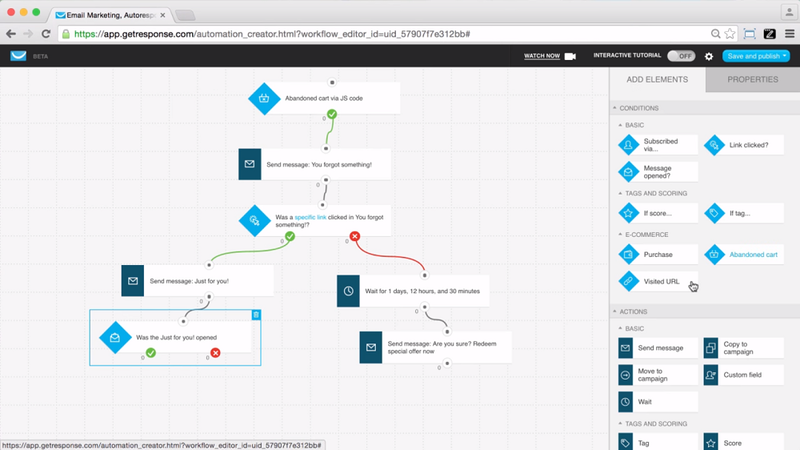 The most complex marketing campaigns can be set up using a simple, drag-and-drop workflow builder. You also get the ability to personalize content to different customer segments (which can be pulled directly from your CRM) according to their simulated journeys. Move over, HubSpot and Marketo! Engaging your users means understanding what matters to them, learning what they think about your business, competitors and more. In other words, conversation cannot happen with just one-way communication; you need two to tango. Enter social media listening. 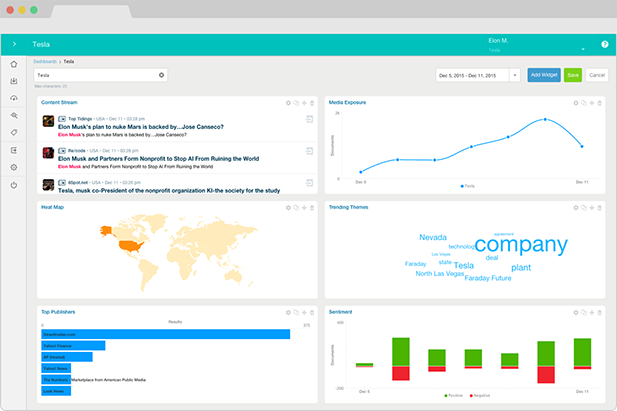 A tool like Meltwater specializes in listening and not just the social media kind. It does a great job of tracking every tweet, share or mention of your brand across different social media platforms, it also picks up conversations about your brand, important keywords, mentions of top management, blogs and so on that reference your business across the entire world wide web. With Meltwater, you can respond to users’ conversations, share a bulletin of your daily mentions with key stakeholders and track your share of voice and other key metrics via integrated dashboards – all in real time. As your sock drawer will handily attest, you’ll never have enough space. This is even truer when it comes to marketing and its ever-increasing appetite for data. While you can store your data on local drives, how do you share large pieces of content with a client or an agency even? 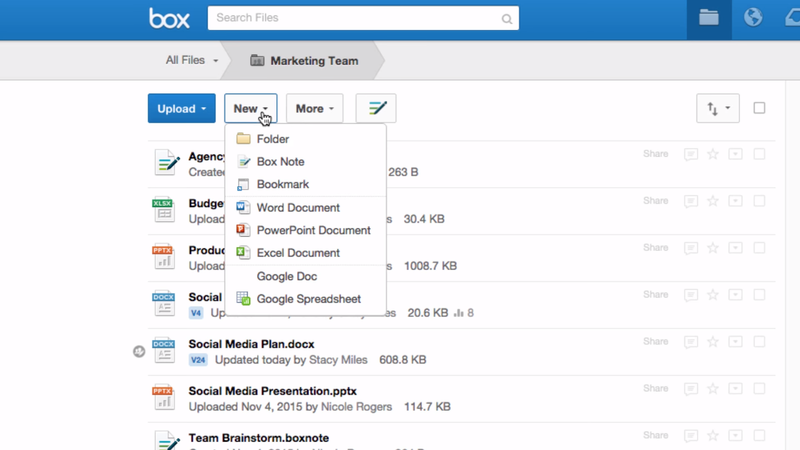 Box answers that question with its elegant solution to file storage and sharing. With a Box account, you get access to a reliable cloud storage service that can easily expand or shrink depending on your individual requirements. From Word and PowerPoint documents to video files, the platform supports a multitude of file formats. Share large chunks of data with your team or even non-subscribers with a simple URL that can be previewed before being downloaded. Automatic version control means you never mix up your documents anymore and reduce errors and re-work significantly. With the most basic plan offering a massive 100 GB of data, Box gives the average SMB more storage than they know what to do with. All your marketing efforts might as well be non-existent, without a reliable way of tracking and measuring the impact they have on the business. One of the most fundamental ways of measuring marketing’s impact on the bottom line is by tracking key website metrics that show visitors that turn into leads that in turn evolve into real, paying customers. Isn’t Google Analytics enough, you wonder? Yes and no. If just gathering web data is the end goal, nothing beats Google Analytics. However, if you want to understand what your web traffic says about your business, Moz is your best bet. Moz’s minimalist UI digs deep and offers you actionable ideas on improving your website visibility, engagement, and conversions. I find the popular (and free!) MozBar a useful addition to my marketing arsenal. From competitive research to keyword analysis to unearthing your website’s entire backlink profile, Moz is a versatile tool that goes both wide and deep to simplify the scary world of search engine analytics and data for the SMB marketer. It’s sub-platforms like Moz Local go one step further and help you build your Local SEO cred by reaching out to publications in your area with your listings, cleaning up existing listings and more. Every marketer has a few tricks up their sleeve that help them perform better and deliver results no one expected. With the sheer volume of apps, tools and automation platforms aimed at helping marketers up their ante just a tad bit more – from tracking visitor interactions on your site with GetResponse to beating local competition with Moz – it would be unpardonable to not consider the best of the breed for your own marketing campaigns. Take your pick from the tools listed above and tell us your experience with them in the comments. I’m all ears! 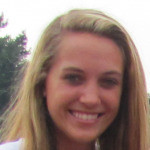 Lori Wagoner is a marketing researcher and strategist who works with small businesses and organizations to help them gain online visibility. Feel free to strike up a conversation on Twitter @loridwagoner.